Review: There's something rather special about this collaboration between South London collective, long-running NTS show and (now) label Touching Bass and Melbourne imprint Wondercore Island. It comes from Clever Austin aka Perrin Moss, a self-taught producer and multi-instrumentalist best known for being the drummer in Hiatus Kaiyote, and is as diverse, eclectic and imaginative as any set we've heard this year. 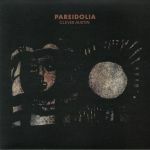 Opening with a seductive slice of otherworldly ambient, "Pareidolia" sees Moss offer up a slowly-shifting, cinematic voyage that variously touches on lo-fi art-rock, off-kilter contemporary jazz, skewed modern soul, experimental synthesizer soundscapes, discordant out-there funk, wide-eyed Balearica, mutant African-influenced oddities and much more besides. As solo debuts go, it's breathtakingly good.